A Coming Flood of Commercial Linux Music Apps? Marco Raaphorst isn’t just another blog pundit, either; he’s a sound designer with credits with Ableton, Propellerhead, and others. A lot of arguments for Linux are made on principle or politics. But we’re musicians here, so I’ll say this: what makes Linux potentially worthwhile is that it could be a fast, reliable, powerful OS in which we could make music. 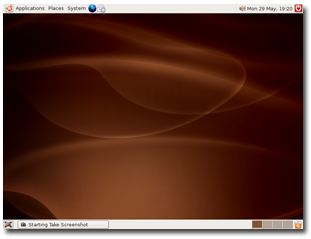 Commercial software has appeared before on Linux (like NVidia device drivers, for instance). It could happen with music apps, too. We’ve heard lots of promises for desktop Linux before, but they were all ill-timed; the simple truth is, until recently, desktop Linux wasn’t quite ready for mainstream users. That has begun to change. If you’ve booted up a copy of distributions like OpenSUSE, Ubuntu, and the recently-released Fedora Core 5 (among others), you’ll find that Linux has been busy maturing while the rest of us focused on Mac and Windows. A Linux install is nowhere as easy as installing Mac OS X (thank you, unified hardware platform). But it is quite a lot easier than installing Windows XP or, not incidentally, Vista beta. And once it’s there, it runs elegantly, and (as Macro notes on melodiefabriek) really fast. The real window of opportunity (ahem) is dissatisfaction with Windows, XP and Vista alike. Musicians in particular want an OS that’s easily customized, streamlined, and focused on the task at hand, and Windows has been letting us down in some respects. Some will want to combine the advantages of commercial software with open source, and the two complement each other nicely. There’s no real open source alternative to Live or Reason, but likewise there’s nothing in the commercial realm that could really match Processing or Csound. Put the two together with a great OS that runs on custom-built hardware and you’ve got some happy users. Again, I don’t think I’ll be dumping my Mac . . . but switching to Linux (or dual-booting) on my PC hardware? Now that I might think about. Obviously, porting to Linux is not without challenges, or it would have happened already. The simplest obstacle is that music developers are stuck in a chicken-and-egg problem with Linux as they wait for musicians to migrate. The difference now is that, should something like Ableton Live show up on Linux, users would jump to the platform. (And keep in mind, it’s possible to run Windows VSTs inside Linux.) I’ve heard rumblings from some developers, though, that suggest this isn’t the giant obstacle that you might think. The reality is that porting fully modernized code from Mac or Windows to Linux is often not that difficult; some developers (Steinberg, for one) are already compiling on Linux even though Windows or Mac is the end target. The other problems are a little trickier: driver support and copy protection. Driver support is still an issue; there’s plenty of audio and MIDI devices that work with Linux, but plenty that don’t, and it’s tough to know what will convince hardware makers to change that. (Maybe the presence of powerful, free music apps on Linux will start to woo users; it’s hard to say.) The other issue is copy protection, and this may be the real chicken and egg problem. If PACE decided to port their copy protection to Linux, I think it’d open the floodgates on Linux music development (even though I know few here are big PACE/iLok fans). Software like Ableton Live, though, has its own copy protection scheme, which would presumably be easier to port. Here’s the wild card: it’s 2006. Virtually all of us are using Linux on a daily basis, whether we know it or not, thanks to the Web. (Hello, Google . . . and, of course, CDM.) And more importantly, the idea of which OS will “win” is completely outdated. If Mac users are dual-booting Windows to run apps that wouldn’t run otherwise, why not Windows users dual-booting Linux for when they don’t need to run their accounting software and just want to get down to some serious music making? Why not dual-booting Linux for when you take your laptop onstage? I think you see my point. And the question becomes no longer if this will happen, but how soon, particularly if you consider markets outside the US that aren’t as loyal to Windows as we are. Music development often moves slowly, so I’d be naive to think we’d be running any of these apps on Linux in the next few months. But I could see it happening, particularly after developers clear the x64 Windows and Universal Mac hurdles (the latter, ironically, putting them in an even better place to start thinking Linux).